Work includes all kinds of print design, web design and handlettering. Experience includes working in design agencies, corporate and in-house design teams. Art direction includes creating a concept and attending photoshoots to give the photographer initial direction, and designing print and web from concept to completion. Opened on Etsy in 2016 to sell digital cards and invitations. Customers download the digital file and choose to print at home, a local drug store, or send the file for professional printing. 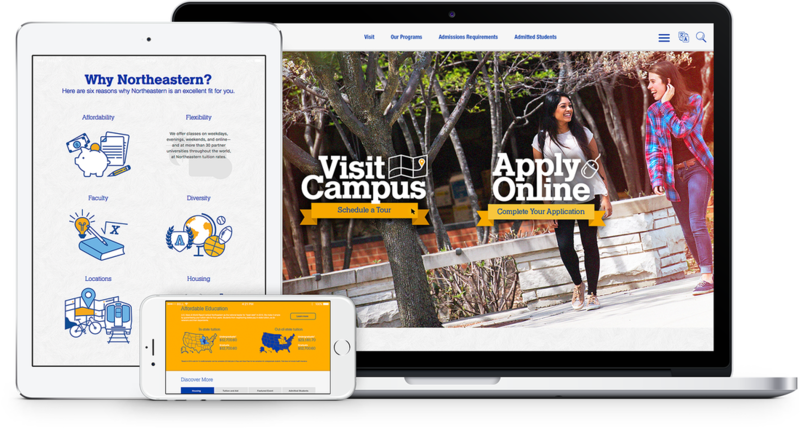 The admissions microsite was originally a page within the Future Students microsite. The redesign included a refreshed-updated look, new functionality to keep users on a single page instead of digging through multiple pages to find information, and prominent CTA's for visit and apply prompts. ​Website also features custom designed icons and graphics. Paper Message was created in 2016. My online shop is also located on Etsy. It is a collection of custom hand-made cards and invitations for various occasions. All cards and invitations are for digital download only. Shop Christmas cards, Save the Dates, Graduations, Bridal Showers, Birth Announcements, and more! All downloads allow the customer to control the cost of printing and timely delivery, just in time for your special occasion!